Our training method is based on science, experience and communication. We help the athletes make the most of the time they have available for training, trying to make them understand why and for what they are training and how this will help them improve. If the appropriate work is done, for the appropriate reasons, the results will come by themselves. Our training plans are completely personalized and adapt to the athletes needs, their work, family situations and all they might need. In Morris Training we are professionals. 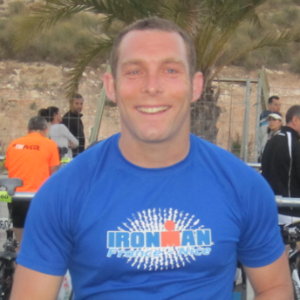 I have a degree in Sports Science and am a Level 3 Triathlon Coach. More than 8 years coaching a great number of athletes of a variety of sports, with different aims. 2 times Second in the 101 km Duathlon of Ronda. 5k, 10k, Half Marathons, Trail running races, Duathlons, MTB Marathons. I am happy to accept any athletes as long as they are serious about their training. Success. Coach Rafa Morris has been notified of your message.